Homemade sandwiches, cakes and pots of tea, set the scene for a sociable afternoon. Residents met in the village clubhouse for tea and a chat before enjoying a medley of songs from their era. After a number of residents expressed an interest in holding a watercolour painting group it wasn’t long before one was up and running. Residents of all painting abilities gathered their brushes, paper and paints for a sociable afternoon of self-portrait painting. Residents boarded the village minibus for the much-anticipated trip to Trelissick Gardens, which plays host to a spectacular event each year, celebrating the Cornish daffodil story. Each year the garden team at Trelissick cuts daffodils to be displayed in a variety of vases with over one hundred different varieties on display. The day was thoroughly enjoyed by all residents. On return to the village, the chef cooked a special meal for residents. Fresh Grey Mullet with Cockles was accompanied by sweet potatoes and pea puree. Judging by the number of empty plates, it was the perfect end to a lovely day. Dance teacher Clare was back at the village, with her special take on ‘Zumba’. The class, which always receives a good turn out, is targeted at improving mobility and flexibility. Residents can choose to be seated or stand as they move to music. All aboard the village minibus, as Fridays at Roseland Parc are perfect for a spot of shopping. The bus leaves the village in the morning to take residents to nearby Truro, where they are free to explore the cobbled streets, browse the boutiques or perhaps enjoy tea and pastries. 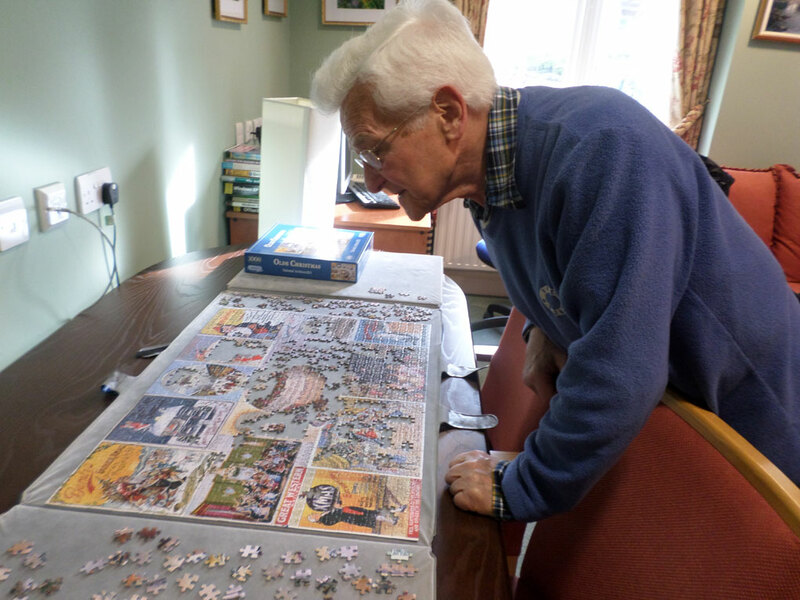 For those who don’t fancy the hustle and bustle of the city, the hobbies room at Roseland Parc is open to complete a puzzle or enjoy a game of bridge.